Beauty and Fitness Retreat - We want you to come get glowy with us and recharge Body and Soul!!! YOUR DESTINATION FOR NATURAL WELLNESS, FOCUSED ON HEALTHY NUTRITION AND CONCIOUS BODYCARE. 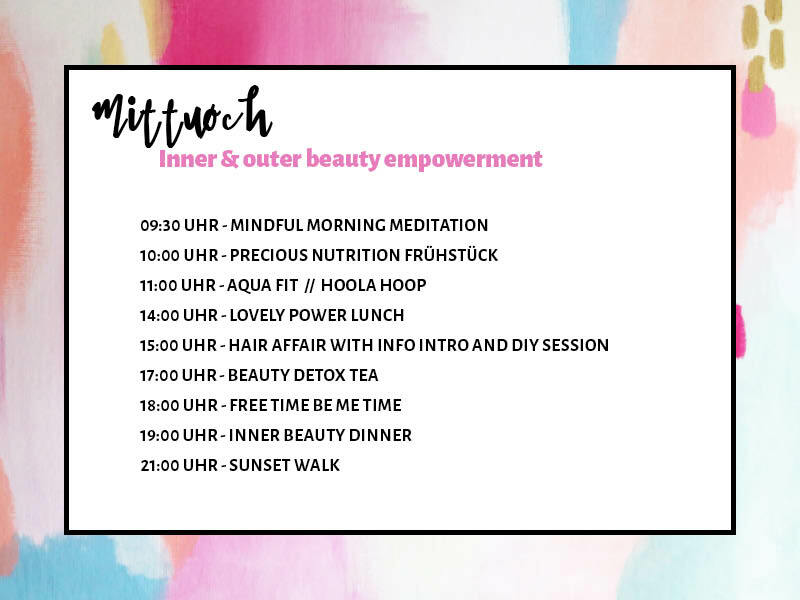 The IDO Fitness and Beauty Retreat takes you on a journey to recharge and make you shine! A healthy lifestyle is the key for your beauty and your glow! Take a break from the everyday life, far a way from all stress to detox from all hectic influences. For one week we will fill up our energy tanks in Majorcan idyll and bring our body and soul in balance. We don`t only focus on external beauty, but also on strengthening the body from within with healthy foods and a versatile fitness program for all levels. (You can do as much or as little as you like.) This is the time for you and your body and only you know what’s right for you! delicious, fill you up and be healthy at the same time. You should feel fit and vital! For natural beauty you should also use natural beauty products. 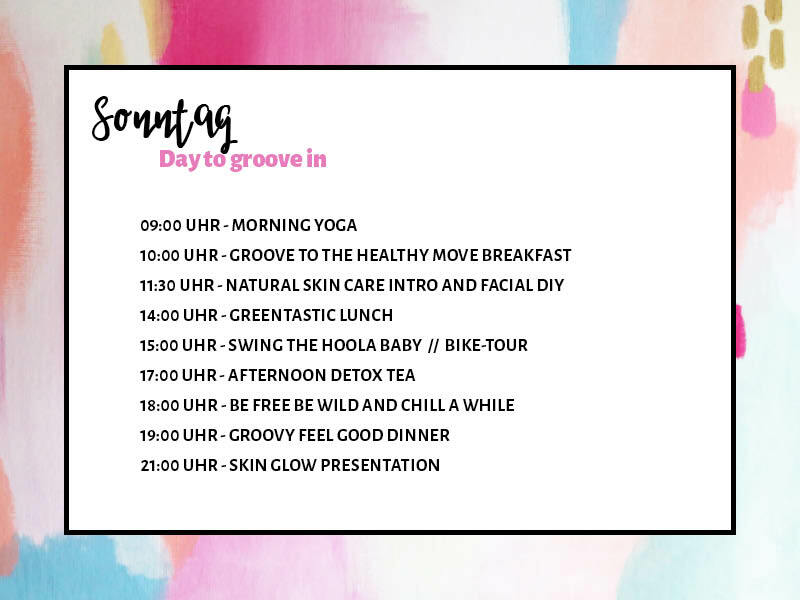 We will use cosmetics with natural ingredients or just make them ourselves, just as in our beauty DIY Sessions. From holistic skincare tips over to your own creation of a wellness scent to all kinds of different beauty boosting recipes. We will find the perfect Beauty-Mix that makes you glow! We will use 100% natural ingredients – so pure nature for pure glow! For our well-being we have to create a daily balance for our body. It’s hard to overcome one’s weaker self with a forced gym routine. We, however, want to experience a Wellness-Fitness-Approach with you that is fun and possible to integrate into your everyday life. Meditation and Yoga for inner peace, strength and balance; Pilates and Aqua Fit to strengthen all main muscles and Hula Hoop because its a fun energy boost that activates your core! 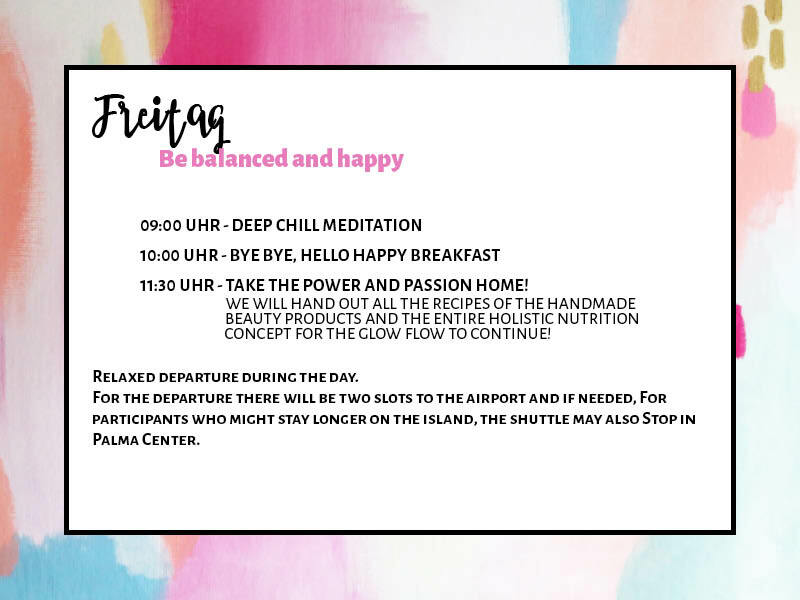 If we combine all of these approaches, we will have a week full of Relaxation, Restoration and Rejuvenation on all levels – to release your natural glow! In order to create an intimate and relaxing atmosphere this retreat is for women only and limited to 20 participants. Our retreat respect an honors where you are right now in your health journey. The classes and workshops are for women of any skill level and any physical condition. We welcome everyone with open arms! The flight to Palma is not included in the price. The rustic, twelve-room Finca Hotel lies in south-eastern Majorca, off the beaten track and surrounded by meadows, fields and fruit trees. With its on-site olive plantation, an orangery where chickens roam free under citrus trees and a verdant pool area, the countryside idyll reaches perfection. In 1597, the foundation stone for the main building was laid and Finca Son Valls was born. ombining original Majorcan features with the lazy, casual attitude that makes it a dream holiday destination, the Finca Hotel awaits your arrival. How about sipping a delicious gin tonic while sharing the sunset on the Chill Out roof terrace? Perhaps you would prefer to relax in one of the hammocks or the cozy bali-bed in the poolside oasis? In contrast, the chapel, Gothic lounge, old sundial and antique furniture tell their own story about bygone times. chilled-out selection of activities, including individual excursions, mountain biking, yoga, refreshing drinks at the Bulli Bar, VW Bulli hire and various evening events turn Son Valls into Lazy Finca. A holiday with a motto: Anything goes, no pressure... there is nothing wrong with being lazy sometimes. 6x Dinner, 6x Evening program. 1x Mountain bike Tour, 1x Aqua Fit. 1x Body Butter, 1x Skin Care Consultation, 1x Hair treatment, 1x Lotion bar, 1x Hand Exfoliation und 1x Manicure.